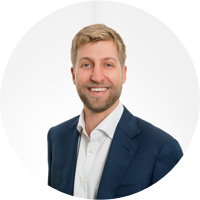 BrickX's Property Team comes from a cross section of professional experience in the property and investment sectors. The team consists of three core teams: the BrickX Investment Team, who bring years of investment experience into the mix, the Adviser Panel who are accomplished property market analysts, and the BrickX Buying Team, whose purpose it is to seek out the best investments in the market. The BrickX Investment Team draws on decades of commercial experience across property, diversified investments, financial and technology industries to deliver a comprehensive and diversified selection of investments to the BrickX Platform. Markus founded BrickX with a view to making property investing much easier than it has been traditionally. Seeing a digital transformation in other asset classes he set about creating a solution that would enable people to invest in properties they liked from the comfort of their couch, instantly. Markus has been investing in technology, agriculture, real estate and the equity markets for 12 years. He is CEO of the BridgeLane Group, a diversified investment group formed in Sydney in 2009. With a passion for progressing Australia’s technology innovation industry he co-founded Tank Stream Labs, a co-working/entrepreneurial business community, and Tank Stream Ventures, an investment company focused on early stage tech start-ups. 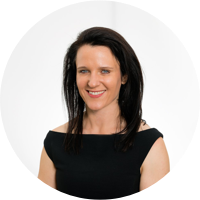 Kareene has nearly 20 years experience in financial services working across banking, wealth management and superannuation. 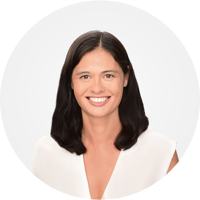 Her depth of experience in growth strategy and M&A combined with her proven execution experience to design customer-centric business models that are digital first, make her uniquely suited to lead BrickX. As CEO of BrickX, she is responsible for investment management to maximise value for members. Her depth of expertise in strategy and portfolio management support the identification of key trends in the property market and broader economy to help shape our mandate as well as ongoing portfolio review and optimisation across all of our investments. With the aim of providing BrickX investors with the best in property expertise, we sought a diverse range of skill sets and perspectives. The Adviser Panel has been carefully selected to bring robust and selective thinking to the strategic acquisition approach. Nerida is a highly experienced economist and one of Australia’s leading property market experts. With over 20 years of real estate industry experience across Australia and Asia, she has lead research for Colliers International, Jones Lang La Salle and was recently appointed as Chief Economist for REA Group. Over the past 12 months, she has presented at major industry forums including those run by Property Council of Australia, UDIA, CoreNet Global and IDP. She is also an adviser on property market conditions to major government bodies. Tim is Research Director at CoreLogic Asia Pacific. Tim is widely regarded as one of Australia’s leading property market analysts and commentators by business and the media. As the founder of the CoreLogic Australian research division (formerly RP Data), Tim’s expertise across property markets has positioned him as one of the country’s most experienced and popular property market analysts and commentators. His knowledge and expertise is sought after by a myriad of government entities and regulators as well as national and international corporate entities operating across property, banking and financial sectors. A group of highly driven and market savvy individuals, the Buying Team exemplify research driven thinking. They thrive on statistically proven data and grass roots research. 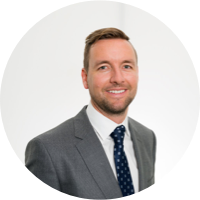 With 16 years in the property industry David has worked as a property valuer and adviser to a spectrum of private clients, including major banks and government. He has been involved in more than $500M worth of transactions, helping his clients build successful property portfolios. 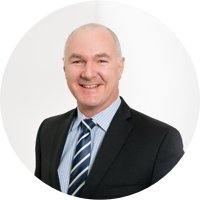 David is a fully licensed real estate agent in Victoria, South Australia and Queensland (CEA), Certified Practicing Property Valuer (CPV), Qualified Property Investment Advisor (QPIA), an Australian Property Institute Associate (AAPI), and most importantly is an active property investor. David currently sits on the board of Property Investment Professionals of Australia (PIPA) to promote ethics in the property investment industry. Nicholas has over ten years real estate experience, in which time he has built extensive networks in the Melbourne selling agent sector. 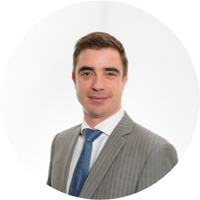 As a buyer advocate, Nicholas has an extensive track record of providing his clients with “Off Market” property opportunities they cannot find themselves. Nicholas achieves great property results for a broad client spectrum, ranging from young families to high profile sports stars and executive professionals who appreciate his discretion. Nicholas is a licensed real estate agent in Victoria, he holds a Certificate IV in Property Services (Real Estate). And has spoken at the prestigious Senior Executive MBA program at the University of Melbourne. All our property acquisitions are based on a purely results driven mandate, with the sole purpose of securing BrickX investors balanced and diversified investment opportunities. The Property Team meets quarterly, and reviews the immediate and ongoing needs of the BrickX Property Portfolio. Taking into account market conditions and the BrickX community, the Team aims to keep the property acquisition strategy responsive.